Michel also denied that the CAFC has been a pro-patent court since it was formed in 1982. “I have heard these kinds of criticisms, but I have never seen them backed up with anything much in the way of evidence. I am not aware of any figures that establish a preference, bias or predisposition,” he said. “It is absolutely false that we go out of our way to avoid invalidating patents. The statute says that patents are presumed valid, but that they can be proved invalid. We follow that". A recent Mallesons Stephen Jaques Alert, "High Court guidance on contributory infringement by product suppliers", summarises the effect of the High Court decision in Northern Territory v Collins. In short, a supplier of a product which is put to an infringing use will be liable for contributory or indirect patent infringement. The High Court prefers a broad interpretation of “supply”. However, it also prefers a broad interpretation of “staple commercial product”, which narrows the circumstances in which suppliers will be liable for contributory infringement. In this dispute, Northern Territory planted cypress pine on a plantation during the 1960s in an attempt to raise a commercial timber crop. 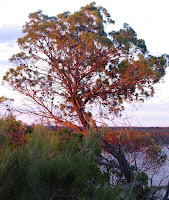 Between 1993 and 2001 the Territory granted licences to Collins and later to the Australian Cypress Oil Company (ACOC) to harvest the trees in return for a commercial royalty. In 1999 Collins registered a patent for producing oil from the mixture of the bark and wood of cypress trees through steam distillation. The oil is used in aromatherapy and for making cosmetic and body care products. A reference in subsection (1) to the use of a product by a person is a reference to: “if the product is not a staple commercial product - any use of the product, if the supplier had reason to believe that the person would put it to that use…”. Collins alleged that the Territory supplied a staple commercial product--trees--with reason to believe that it would be used to produce oil in a way that infringed his patent. The Territory conceded that it reasonably believed that ACOC would infringe the patent, but said it was not liable under section 117, as it did not supply the timber and because the timber was a staple commercial product. At first instance, the Federal Court ruled in the Territory’s favour on both points: the licences were not supplies as they were passive agreements to let ACOC harvest the timber itself and the timber was a staple commercial product with numerous commercial uses. Collins successfully appealed to the Full Court of the Federal Court and the Territory then appealed to the High Court. The High Court allowed the Territory's appeal. It agreed that the grants of the licences constituted a supply, focusing on their practical effect rather than their legal nature: they were a means of allowing ACOC to remove and use the timber. This was, in practical effect, a supply. However, the High Court ruled in the Territory’s favour on the issue of whether the timber was a staple commercial product, concluding that it was. "As far as patents are concerned, the first thing that struck me is that the majority of companies surveyed in both countries have not been on the receiving end of any infringement claim for the past three years (67% in the US and 73% in the UK). Those reporting between one and five claims come in at 26% in the US and 23% in the UK. Broadly speaking, therefore, over 90% of both British and American companies – if the respondents to the survey are in anyway representative – have no or relatively few problems with patent litigation. In fact, even those companies that report claims being made against them do not always end up in full-blown disputes; 44% of claims do not lead to litigation in the US, while the figure stands at 32% in the UK. It’s not a surprise when you think of how many suits are filed in each country during the course of a year, but it does offer further confirmation that those who claim that the patent system is running out of control could fairly be accused of over-egging their position somewhat. I am not saying that being a defendant in patent litigation is any fun. In some cases it can be hugely damaging, especially for smaller companies. It is almost always very expensive - especially in the US and the UK. But the simple fact is that, if this survey is to be believed, only a relatively small number of businesses are affected. In fact, even in technology-driven industries, patent litigation is not a given – in the US, for example, although 52% of companies report at least one claim being made against them during the last three years, that leaves 48% of companies that reported none. Just 12% of businesses valued at under $100 million received a claim. Of course, this must have been a great worry to them, but how do such figures sit with the idea that patents are forcing smaller businesses to abandon innovation for fear of being sued? If this is happening, maybe it is the perception rather than the reality that is causing the decline. And if that is the case, naysayers and doom-mongers need to ask themselves some pretty tough questions. So, where does this leave us? Well, clearly for some, patent litigation is a hugely expensive, time-intensive, pain in the behind. But the Fulbright study is yet another indication that such companies are actually very much in the minority. For the vast majority, patent litigation is not an issue or is a relatively minor one. And when you understand this, it does make the case for a major overhaul of the patent litigation system in either the US or the UK rather less compelling". Patent Infringement: Compensation and Damages, compiled by Bryan W. Butler, has just been published by Research & Markets. Full details of this work, which appears to focus on the subject in terms of US patent litigation, can be found on the publisher's website here. Pharmaceutical Business Review reports that Ariad Pharmaceuticals, a US-based oncology company, has announced that the US District Court of Delaware has granted Ariad's motion to permit an immediate appeal of the court's summary judgment ruling of non-infringement by Amgen's drug, Enbrel, of seven claims of US patent number 6,410,516. 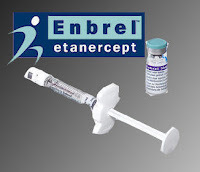 Giving summary judgment, the court found that the administration of Enbrel falls outside the scope of the asserted claims based on the court's interpretation of these claims to exclude extracellular methods of reducing NF-kappa B activity. The court also cancelled the trial scheduled for November 2008 and administratively closed the case. Ariad seeks reinterpretation of the asserted patent claims by the Court of Appeals for the Federal Circuit so that Ariad's infringement case against Amgen may be tried by the Delaware Court. Amgen's challenges to the validity and enforceability of the '516 patent claims will not be considered by the Delaware Court until that time. Last week Mr Justice Norris in Les Laboratoires Servier and another v Apotex Inc and others  EWHC 2347 (Ch), heard on 9 October. Servier developed and patented a pharmaceutical known as Perindopril (a prescription drug used in treating hypertension), which it sold under the trade mark Coversyl. This patent was the '341 patent'. In July 2000 Servier applied for a further patent (the '947 patent') covering an allegedly new form of Perindopril. In July 2006, the European Patent Office dismissed an opposition, so the 947 patent survive unscathed. Generics manufacturer Apotex decided to make Perindopril, receiving the necessary market authorisations. Apotex wasn't afraid of the 947 patent which, it considered, was only a rehashed version of the 341. Servier sued for patent infringement and secured interim relief, restraining importation of Apotex's product. In subsequent proceedings the patent was found to be invalid and was revoked by the court. Since the interim injunction had stopped Apotex selling Perindopril for a large period of time, the court now had to quantify its entitlement to damages under the cross-undertaking given by Servier when the application for interim relief was granted. While the inquiry into damages was grinding towards a close, Servier sought permission to amend its case in the light of a finding of infringement against Apotex in the Canadian Federal Court in Canada, in proceedings to which Servier was not a party, this patent being held not by Servier but by an associated company. The point of the application was this: the Perindopril which Apotex would have sold if no injunction had been granted would have been made in Canada and would have infringed the associated company's patent. Norris J dismissed Servier's application. In his view it was made at too late a stage in the proceedings. The Canadian proceedings actually predated the commencement of the inquiry into damages on the cross-undertaking; the underlying legal point, if valid, had been in existence since the beginning of the inquiry and it had been open to Servier to make the application from the outset -- but it didn't. Worse news was still to come for Servier when Norris J concluded that, on the evidence, the appropriate award under the cross-undertaking was damages totalling £17.5m. Norris J added that a party that secures interim relief before failing to establish infringement is not actually a 'wrongdoer', but someone who has obtained an advantage upon consideration of a necessarily incomplete picture. From the court's perspective such a person should be treated as if he had made a promise not to prevent that which the injunction in fact prevented. There had to be some form of symmetry between the process by which he obtained his relief (an approximate answer involving a limited consideration of the detailed merits) and that by which he compensated the subject of the injunction for having done so without legal right, particularly where -- as here -- the paying party had refused to provide full details of the sales and profits which it made during the period when the injunction was in force. "The UK is the only European market, with the exception of the Netherlands, where Servier has been challenged on the validity of a national designation of European Patent number 1 296 947 and there has been a decision in favour of a generics company". "The question of obviousness must be considered on the facts of each case. The court must consider the weight to be attached to any particular factor in the light of all the relevant circumstances. These may include such matters as the motive to find a solution to the problem the patent addresses, the number and extent of the possible avenues of research, the effort involved in pursuing them and the expectation of success." * Stena Rederi v Irish Ferries  RPC 36 (CA).